If you still haven't decided what bird you're cooking for Christmas day then here's your last help. This infographic from Steven Wildish gives you all the simple steps to decide exactly what bird is best for you this Christmas. 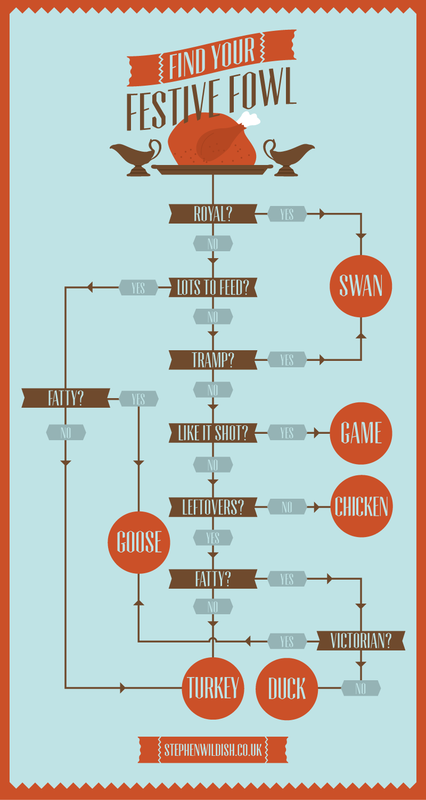 All you need to do is answer a few simple questions and this chart tells you your perfect choice of bird. Lots of people to cook for? Want to have some leftovers to play with? Just answer the questions and your choice will be revealed.